Stamped concrete is one of those home remodeling trends that gives a decent look to every homes. Its ability to resemble other building materials makes it way cheaper than using the authentic ones. 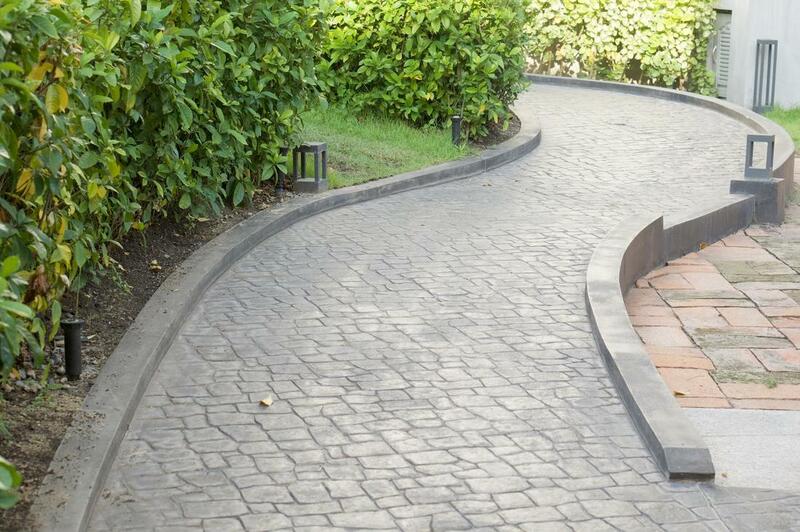 Driveways, walkways, patios, pool; these are just few areas in which stamped concrete is much likely installed for the reason that it offers a wide range of benefits. Also, stamped concrete eradicate tripping probability in your property that made it very safe for your children. So if your wanting to have your concrete suit the design and style of your home, you might need the help of the skilled contractors in Concrete Contractors St. Louis. We've handled all kinds of stamping before and one thing very common that we always remember from our customers is the smile that they leave to us after every project. We know exactly how you want your services delivered thus, we made ourselves ready for your stamping demands. There is a bunch of reason why installing stamped concrete in your home is one of the wisest ideas you may have for today. It's an affordable way to update your patios and give your backyard and driveways a custom look. Yes, we saw your eyes sparkle when you read the word "affordable". Just as you are, Concrete Contractors St. Louis seeks to provide cost-effective stamping services at very friendly rates that will help our customers realize that it's never hard to plan for any home improvement! To boost you up, investing in stamped concrete offers different customizing options that will allow you to apply limitless ideas. It also brings excellent performance and longevity. Meaning, you never have to deal with yearly hassles being low maintenance compared to other concrete projects. Stamped concrete gives you a luxurious look in your home and the installation is pretty quick with the help of our professional team. We feel your need for budgeting your money and investing in "good things only" - and it's never a wrong decision to ask for help with a professional team who can offer you the concrete services that you need. We already witness what a stamped concrete looks like when it is done without proper experience and you wouldn't want your guest to disgust the looks or even have bad impressions of your home. Save yourself the frustration and find a good concrete contractor who has experience in laying stamped concrete. We will help you improve your living or work-space with stamping and other finishes that we already been trained for years. Our concrete masons use varied techniques that makes concrete being elegant in appearance with the different customization that we do. We never fail anyone who trust our abilities so everyone can feel confident that their surfaces can stand the needs of their home for many years to come. Give us a call today and we will give you the best and the most reasonable rates for your stamped concrete. We can discuss with you different concrete options including all the style and color you'd like to have. Trust that we will work with you until the end of the project - bringing your visions into reality!